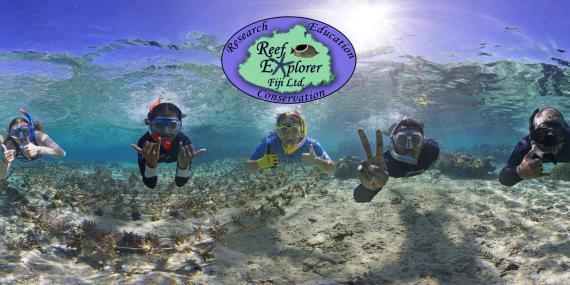 Reef Explorer, a 100% Fijian-owned company, is celebrating the 3rd International Year of Coral Reefs by offering volunteer opportunities to assist with our community-based coral restoration program. You&apos;ll learn about coral reefs and community-based marine conservation in Fiji while helping our local team to restore reef areas in their traditional fishing ground. Based from our beach-side field station, you&apos;ll enjoy experiencing island life while exploring the local culture and our beautiful surroundings. You&apos;ll soon see why Fiji is known as "The way the world should be"! Get PADI SCUBA diving certifications and become a globally recognised Reef Check Eco Diver and more! We believe in contributing to the global movement to protect our oceans and work with established agencies to deliver quality coral reef monitoring training. The data collected by volunteers goes to global and local groups to increase understanding of our fragile coral reefs. Immerse yourself in Fijian culture as we work together with local villages to raise awareness of environmental challenges and provide scientific support for Marine Protected Area monitoring programs.